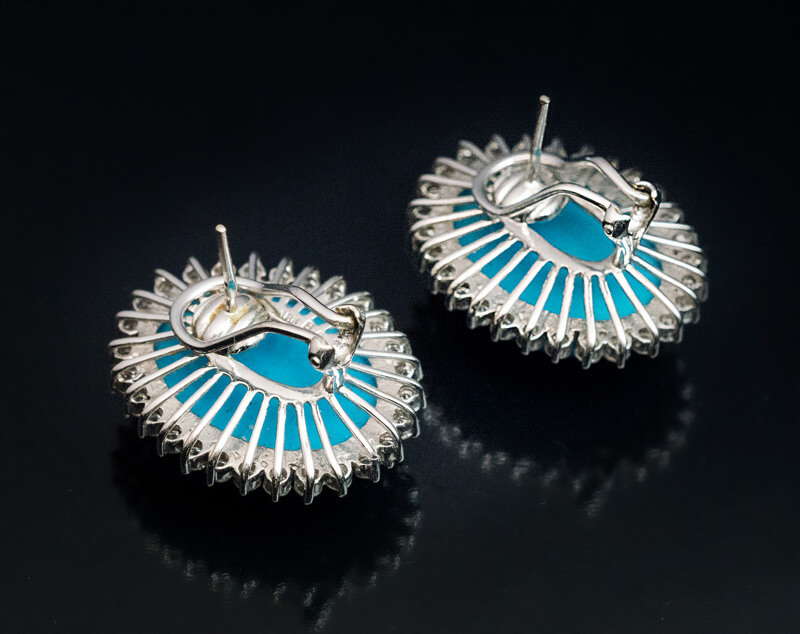 A pair of contemporary 18K white gold earrings centered with cabochon cut turquoise (approximately 14.43 ct and 15.33 ct) framed by bright white diamonds. 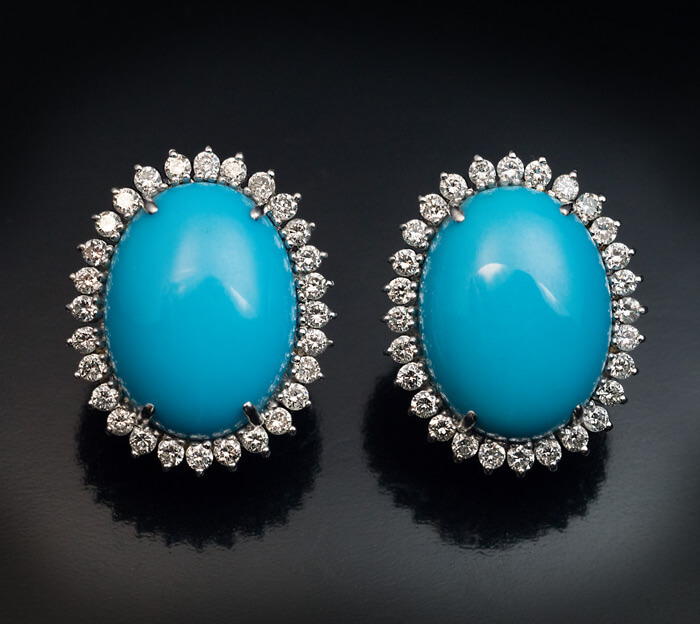 Estimated total turquoise weight 29.76 ct. Approximate total diamond weight 2.24 ct.
Russian assay marks for 750 gold standard (18K).